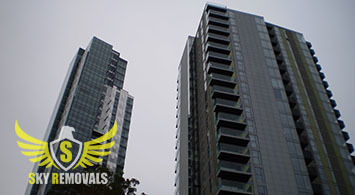 Sky Removals is a true leader in the field of commercial moving in London. Our skillful relocation experts are ready to provide you with on time assistance with relocating offices and other commercial spaces in a manner that is up to all professional standards. We are available for last minute booking, late night operations and much more. Office removals in London are easy and free of the usual stress, hassle and strain. Relocating one’s business is usually something rather hard to accomplish, and it is a rather responsible task. There is no way around it, bearing in mind the consequences such a transition might have on your company. That is why we are here – to make sure everything goes smoothly, without incidents of any kind and in a way that you can only benefit from. Get in touch today for further information on the ways Sky Removals can help you with your upcoming commercial moving. Our responsible helpful customer support operators would be pleased to answer all your questions, explain in detail our methods and pricing system. When we say that you can count on us at any time, we mean it. Feel free to contact Sky Removals around the clock either over the phone or via email. Having an office removal in London carried out by us means that neither you nor your employees would have to worry about a single thing. Our licensed commercial movers are going to plan, prepare for and do the job in the most appropriate manner. We have the responsibility to get all the packing supplies, as well as the equipment and clean GPS navigated vehicles that are require d for the completion of the job. Your sensitive equipment and expensive office furniture is in safe hands with us. One of the really important aspects of every office removal in London, and anywhere else for that matter, is that the job is completed precisely on schedule. This is crucial, because your old premises are to be vacated when the contract expires, but you should also move in at the new place and make it operable as soon as possible, so that no disturbances in your business process happen. Have no fear – we are the people that are right for the job. We will make sure that your new office is ready to work on the very next day after the relocation. As we have already said, commercial moving in London with us by your side is the best thing that can happen to your company. It is easy to get us move your company. All you have to do is get in touch and make a reservation. Our skillful moving experts are looking forward to be working for you. London is a huge city and one of the most important commercial capitals on the world. The annual turnover of the London Stock Market is higher than any other place on the planet. Many new offices are opened in the district of Canary Wharf, where the former West Indian Docks were located too. Tourism also plays a vital role in the economy in London. In addition to the most popular attractions – The Eye, Buckingham Palace etc. – there are many other sites that deserve one’s attention. Such places are the legendary Kew Gardens, The National Museum and the London Zoo.